Jennifer Rettig became an expert at recruiting before LinkedIn existed. As anyone who’s gone searching for candidates recently knows, this is an unthinkable level of badassery. Just as Google made finding information any other way a bizarre notion, LinkedIn has done the same for recruiting. And while Rettig is of course a power user now, she brings the creativity, wit and resourcefulness of someone who cut her teeth without it. She started her recruiting career at Apple — first in retail and then marketing — where she was tasked with helping build the iPod product team when no such technology had ever existed. Since then, she's deepened her expertise in executive searches at Yahoo and JCPenney (reuniting with famed Apple Store creator Ron Johnson), and has now joined business intelligence leader Looker as Head of Recruiting. In this exclusive interview, she delves into each of these, and provides play-by-play advice to get the most out of the relationships and resources that won't break the bank — and are more likely to get you good results. ACTION 1: Engage and mobilize your team's leaders. Make a list of all the people who have networks that could include the type of executive candidate you're looking for, i.e. board members, advisors, investors, executives at partner companies, anyone who has a stake in the company's success. Early on, this could include all current employees. Create three bullet points explaining what this new executive position will enable the company to do and accomplish when you find the right person. What capability will they bring with them? Why is that so important? How will the role be key to the company's product, technology, strategy, or roadmap? Be very explicit. Paint the picture for them. Make them want this future badly. These two steps ensure that people will be bought into helping, which is critical. Hopefully, as soon as you announce that you're hiring for an executive role, people will proactively volunteer to help. This isn't always the case. And that's why your bullet points come in handy. Reach out to the people you listed and send along these points (this is especially helpful in motivating board members and investors who have competing priorities). "If you get any pushback from leaders on your team who say they're too busy, don't just relent — explain how the role you're hiring for will alleviate pain points for them, take work off their plate, and complement their skillset," Rettig says. "Or, even better, give them the implications of not hiring this person, or dragging out the search too long." Make sourcing easy — mine their networks for them. In your outreach email, don't just ask people to comb through their LinkedIn network and make referrals as they see fit. They're busy. They're stressed. They don't have full context on what to look for. In your note, tell them you need very little from them, and that you'll do most of the heavy lifting. "Just going to people and saying, 'Hey who do you know?' is never going to get the job done," she says. "They're not going to go through their 500 or thousands of connections on LinkedIn, and that's what you really need." Instead, tell them that if they'll make their LinkedIn network publicly viewable for just a short window of time, you'll go through it for them, mine potential candidates, and they can set it back to private almost immediately. This takes the onus off them and allows you to do the depth of search you know they won't with multiple keyword searches, boolean searches, second-degree connections etc. Stress that respect and confidentiality will be top of mind for you the whole time, and that they'll get to approve any outreach to prospective candidates beforehand. The trick is to make them comfortable with this. "Literally say, 'Hey, I can come to your desk and in just two minutes show you how to make your LinkedIn viewable for me, you only have to keep it public for 24 hours, I just want to see who you know and make some notes. I'll let you know as soon as I'm done, and will discuss anyone who I think might be right for the role,'" advises Rettig. "Stress that it's low-risk and low-impact for them, that you understand why they might be nervous, and that they're still in control of what happens." When they give you access, make your list of candidates. Go two degrees deep to be thorough (people who know people they know). If anyone stands out to you, do a search for people like them. This is core functionality of the LinkedIn Recruiter tool, which requires some investment upfront. Rettig asserts that paying for at least one seat to have access to the product is worth the price and helps level the playing field for great candidates. If, however, you don’t want to pay for LinkedIn Recruiter, identify the elements of a profile you really like, and then create search terms to help you replicate that person’s experience — likely a combination of job title, current or past companies, and years of experience. Once you have a list of contacts who could be right for the role, present it back to the owner of that network. Right away, have them indicate who they might not have contact info for, so you can help track it down (you don't want this to be a barrier or easy excuse if it doesn't have to be). When you really can't convince someone to open their network to you, give them easy-bake instructions for doing good searches themselves. "Craft search strings for them, provide them with simple parameters that will immediately make sense to them," says Rettig. "For example, at Looker, a fair number of people came from Box. I can go to them and say, 'I'd be really interested in people with experience at Box, here's how you search just for them.'" Think through how someone might be connected to the right candidates for your role. How can you help navigate them in that direction? Tailor your instructions to make it both a simple task and surface the most relevant results. For all of the above, you could enter competitors, companies on a trajectory similar to or ahead of your own, and then drill down as granularly as needed. "Probably in your own searching you've created a number of search strings. Just send them to people and tell them to copy-paste into LinkedIn. For example, at Looker, we have a policy to never hire people away from our customers, so I use and share a lot of strings that exclude the companies on this list. People love to help when you give them instructions this specific to follow." Make outreach easy — with templates, leaderboards and follow-ups. Once you have a list of candidates you want to reach from someone's network, you still need their help getting in touch. They're the warm connection that will get you in the door. This sounds like a lot of work and can easily stall your process. Quotas, goals and leaderboards break the deadlock. "It can be very helpful to tell the leaders on your team, your investors, board members, etc. that you need each of them to reach out to at the very least 10 people, 20 people, whatever's reasonable," says Rettig. Quotas might sound arbitrary, but it gives people a finish line, and a concrete amount of work they can do to feel like they did their part. It's powerful. Leaderboards work because of the same psychology. People generally want to be as or more helpful than their peers. Use them to galvanize your board members and internal team to reach out to more people. Show or regularly report who has reached out to how many prospects, and you'll get more. Getting them to contact sourced candidates over email is paramount. Sending notes over LinkedIn isn't going to have nearly the same success rate. "It seems more personal. It's there, unavoidable, in their inbox. It's direct. It looks more professional," she says. "Use LinkedIn Inmail as a truly last resort. It's just too noisy and seldom checked." Names of prospects you want them to reach out to over email. Several message options that vary slightly in tone and content. Don't ever require them to use your language, but make sure they know what points to hit. "A globally accepted first note says something like: 'Hey, this is Lloyd at Looker. I realize we haven't been in touch for a while, but we're ready to add a VP of X to our organization. Just want to let you know, in case you might know someone who might be right for it or interested." Generally speaking, don't go after them directly in this first communication. It eases pressure and politics. If they're interested, they'll say so. As the hiring manager, offer to email the people your team or board doesn't feel comfortable reaching out to themselves. Tell them, "No worries, these types of people are very used to getting recruiting messages from hiring managers. I'll briefly mention that I saw they were connected to you and go from there..." More often than not, they'll agree to this. If they do choose to reach out themselves, make sure they CC you (the recruiter or hiring manager), so you're now connected. Have them state explicitly they're CCing you — so that it doesn't seem sneaky — because you're leading the search. Make follow-up easy — jump into the conversation yourself. You want to remove the person between you and the prospect as soon as you can. Depending on the situation and relationship, consider jumping in right away to introduce yourself and say you're available to provide any additional information. If you're worried about scaring a candidate off, hang back. Wait until they respond (that's why CCing instead of BCCing is best for the handoff), and then say, "Great to hear from you! I can take the conversation from here..." This will expedite things, get your teammate out of the hot seat and back to their daily job, and make the process seem seamless to the candidate. Don't force anyone to do something they don't want to. Yes, these are all ways to get around people's reservations about helping with an executive search. People will say they're too busy. Some will say they don't feel comfortable contacting certain individuals from their past. Others are simply introverted, and whole thing makes them uneasy. They don't want to reach out to a fairly cold contact about a job. If this last one is their reasoning, try to gently assure them that sending along a job opening after a long silence — or to a weak connection — is fairly common and standard practice in tech. All that said, if they really say a firm no – they don't want someone to get contacted for whatever reason — respect it. Maybe there's a red flag they don't want to share. Or it would really rub them the wrong way. Stand by your word and drop it. It will inspire trust next time you need their help. ACTION 2: Do your deep-dive research. That's not to say that only senior or heads of recruiting are right for the job. Driving and directing research can be a great developmental opportunity for more junior team members to learn and gain visibility with top leadership. In the past, Rettig has had a lot of success entrusting research to junior team members fresh out of school, because their skills are sharp. What's required is more akin to academic research than straight sourcing. If you don't have a recruiting team, then once again, this falls to the hiring manager. What will their success look like in the first 6 months? The first year? What companies do we admire? How have they done what they've done? Get answers to these questions down on paper. They'll give you an entry point into your search, what type of candidates you go after first, how you gain buy-in from stakeholders you're asking for help, and how you set expectations with prospects. "When you ask people on your team to think of the ideal candidate for a role, their mind will probably jump to a real person they actually know," Rettig says. "That can be super helpful, but it can also be very limiting, and you want to avoid that early in your process." Answering the questions above can help you think more broadly and conceptually. Maybe you need someone who has experience taking a company public. Maybe they need to have launched a consumer product — or beyond that, a consumer product in the music space. This helps guide your search and take your candidate pool from infinite to manageable. "For example, I might only look at people who hail from companies that have gone public in the last 5 years," she says. The first goal of any recruiting research effort should be to develop and define an ecosystem for your search — i.e. the industries, companies, brands, organizations, associations, publications, conferences, certifications, job titles, degrees, locations, and other indicators associated with the type of role you're looking to fill. These will help you create the parameters for your potential talent pool. Also, is the role based in the SF Bay Area? If so, be sure to include Seattle, Austin, Boulder, New York, and other cities in your search that people often relocate from. Candidates who went to school in the Bay Area or have worked in the Bay may be more inclined to move back. When searching for an executive with privacy or corporate social responsibility expertise, you could even expand your ecosystem to include organizations and NGOs, as well as the public sector — academia and governmental agencies. Look at the people leading or sitting on the boards of industry groups like the International Association of Privacy Professionals (IAPP) or speaking at conferences on responsible business. Creating this ecosystem requires some thorough digging, but should enable you to cast a wide net you can then hone. "You might start with the idea that the best candidate will come from a direct competitor, but knowing the full ecosystem can open doors to better sources of candidates you didn't even know existed," says Rettig. This step is even more important when you're recruiting someone to do something that's never been done before. "Think about it, I was a recruiter for Target when e-commerce came into being. It didn't exist before. Then all of a sudden, I had to hire someone who could lead e-commerce efforts, when there was no talent pool with that experience," she says. "The same thing happened at Apple — we needed to help build a product team for the iPod when no one had ever seen anything like it." Her team's first impulse at Apple was to look for people at Sony, Microsoft and the like. But no one cleared the bar. "It was only when we said, 'Okay, let's get out of our own world and list brands we actually admire and aspire to be like' that we made progress." Nike and Range Rover topped this particular list — and the right candidate ultimately came from the latter. What are the products that impress you so much that you're compelled to meet the people who made them possible? When you're running a startup, there's a good chance you're breaking new ground like this. There won't be any perfect templates out there for the executives you need. And candidates at competitors won't be exactly right. Building an ecosystem empowers you to be creative, and to see further into the pool of people who might be capable of what you need. As a best practice, Rettig suggests going LinkedIn-free for a while as you assemble this map of organizations and affiliations. "When you jump right into LinkedIn, you get sucked into a very defined and closed universe, and it can constrain your thinking and what you look for. You might not discover whole professional organizations or academic programs that could yield candidates," she says. "Make sure you don't miss anything, and give yourself a LinkedIn detox for a week during your research phase. Google. Go down rabbit holes. See where breadcrumb trails lead. You might end up talking to someone you never would have otherwise, who introduces you to the exact right candidates." As you build out your ecosystem, you'll come across people who are clearly very knowledgeable in the space — professors, other CEOs, investors, advisors, etc. — and you'll want to talk to them. Not because they're a good candidates, but because they may know one, or someone else who will know one. Relationships are instrumental to this research, and may help you expand your ecosystem even more. "I didn't just start with, 'Do you know anyone for this job?'" says Rettig. "I asked him about the big issues impacting the industry. What was everyone talking about? What were people concerned about? What kind of jobs seemed to be grabbing attention? What challenges really interested people? Could someone transition from a governmental role into a tech role? He was tremendously helpful. People love to help, and they love to talk about things they know well." She ended up adjusting the profile they were looking for based on his comments. Forging these relationships doesn't just yield information, it also enhances your credibility with prospective candidates. If you're suddenly affiliated with, referred by or introduced by a bonafide member of a known industry organization or leader, a candidate is going to pay more attention to you and the job opportunity. At the very least, talking to a lot of knowledgeable people in the space equips you with the language to sound credible and informed when you talk to prospects — like what's hot in the industry right now, or mentioning an upcoming conference everyone's going to. They can have faith you're not just repeating buzzwords, and actually understand the value of their work. Be sure to take care of these relationships as your search progresses. If you've asked people for introductions or for information, keep in touch with them. Let them know how things panned out. Be prompt and responsive when they reach out to you. Ask if you can be helpful to them. You want good word of mouth in their industry, and people love knowing that their help or small contribution led to something great. When you start a search, it can feel like an impossible quest for a needle in a haystack. Remind yourself that the group of people who can do a good job in the role is in fact finite. It will make the task more manageable. Doing your research and building an ecosystem brings this into focus, and turns recruiting into a more orderly and systematic process of elimination. "You want to inventory all the places this person could be, and then narrow down more and more and more," says Rettig. "As a recruiter, I often have hiring managers ask me things like, 'Have you tried looking at Netflix or what about Facebook?' My goal is to have done enough research that I can say, 'Yup, here's all 5 people capable of this job at Netflix and Facebook, we’ve already reached out to top 3. Now let’s talk about how we would present this opportunity to those leaders or why they should leave those great companies to come here... "
At the end of your research, you want to basically have created a checklist of places and people for the role. As you reach out and hear back, this list gets smaller and smaller until you're left with the best possible outcome. ACTION 3: Find and utilize the best external help for you. If you have the budget to work with an external resource like a recruiting consultant or sourcer, by all means do it right away. "I would strongly consider an independent consultant or small boutique firm where you have a trusted point person. These solutions often do a better job than a large or 'prestigious' recruiting firm, and at a lower cost." The important thing is to bring them on early and to have them work as a true extension of your own team, or of yourself if you're a single hiring manager. They should be there for the research portion of your process, for the ecosystem building and for the sourcing. You want someone who'll be there from the start so they have as much context as you do. They need to know exactly what they're looking for, what they're not looking for, and why. "There have been times when I've hesitated to bring in someone external, thinking, 'No, we have to prove we can do this search on our own,'" she says. "But that thinking does nobody any service. Even with someone else helping, there's more than enough work to do defining the parameters, sourcing, and running the external search and outreach process itself." I've seen so many people bring in an external recruiter, hand them a job description and say, 'Go find me this.' That will never bring you the best person for the job. Beyond that, according to Rettig, any recruiter worth their salt will push back and say, "Wait a minute, I need more than that." You want someone who's so interested and invested in your search that they want to essentially join your team to make it happen. Go back to the bullet points you developed about how impactful this role will be for your company and why. Use them to give your external recruiter a sense of the stakes involved and the magnitude of impact they could have on your team and success. 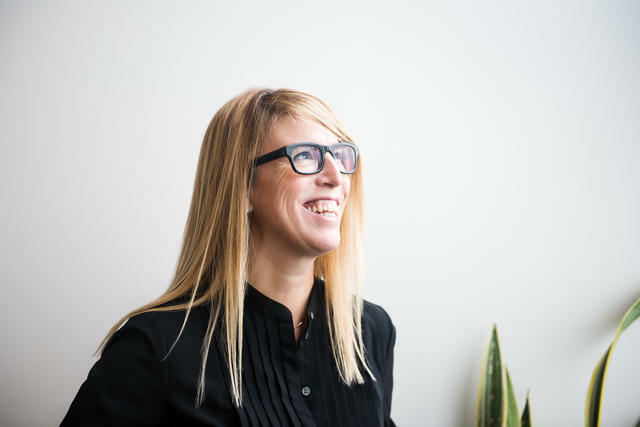 "Ideally, this person can come work out of your office next to you or your team so that communication is really easy and they start to absorb the elements of your company," she says. "You want to help immerse them in your culture and give them as much information as you can about what type of people tend to succeed at your company, what attributes tend to be admired and rewarded, how people like to collaborate and work with one another, and more. It's worth spending at least a couple hours going over this type of detail with them before they do anything else." Arm this person with the press articles, YouTube videos, internal blogs, wikis, old email threads, and more that they can use to not only learn about the company faster, but perhaps eventually share with candidates to give them a window into the environment and what it's like day-to-day. When you work with an individual or a recruiter from a small firm, there are a few distinct advantages: loyalty, price, expertise, quick turnaround, and an informality that makes communication easier, faster and more fluid. "When you work with this type of resource, it will often be cheaper, but the real benefit is the flexibility," says Rettig. "They won't spend their time preparing reports or setting up regular meetings (whether we need them or not), or marching through a defined checklist like you get with some big firms. You can have more of an authentic and informal relationship. They'll know you took a chance on them and will want to deliver." It's also much more likely they can spend time on site at your company and on your search. They can get a feel for the space, meet the rest of the team and observe relationships, see your norms and standards in action, and participate in the culture firsthand (invite them to happy hours, all-hands and the like). Rettig suggests having regular one-on-one meetings with them the way you would with any other member of your team. Ask for a weekly update, for candidate tracking, and keep to it, just like they work for you full-time. With larger firms, this isn't possible. A rep from a large firm might come on site for 30 minutes or an hour at the beginning of the process, but then never again. As the lead recruiter or hiring manager for an executive role, this external recruiter should report to you, and you should always have a direct line of communication to them. Early on, have them sit in on calls you do with stakeholders who can help refer candidates, with others in the industry you're asking for advice, and with prospective candidates. Give them a chance to see how you describe the role and how it will fit into the company, how you talk about the opportunity, etc. This will help them represent you going forward. If possible, find an external recruiter who specializes in the particular area or role you're looking to fill. "I've worked with people who only do VP of Engineering searches — that's it — and they are by far the most effective at doing that," Rettig says. She's worked with others who had expertise in security or marketing searches. To find the type of recruiter you need, tap your network to ask other heads of talent at non-competitive companies and the talent partners at your VCs. Whenever she keeps coming across the same recruiters again and again on LinkedIn, she notes down their names. Recruiters who are clearly connected to a lot of tip talent are a good place to start. "I ask my common connections about them. Sometimes I reach out myself just to say, 'Hey, I keep running into your profile, and would love to know more about the type of searches you specialize in. What type of clients do you enjoy working with?'" At Yahoo, Rettig worked with a security recruiter who went above and beyond. She found him when one of her colleagues got hired away by Facebook to replace a leader who had left for Uber. "I wanted to know who the heck got this person to leave Facebook, so I asked all of my contacts at both companies. Finally someone said, 'It's this guy in Rhode Island, Jared.' I immediately found Jared's email and sent him a message: 'Jared, you just caused a chain reaction that left me with an open leadership role. Any chance you want to backfill the job?' He said 'yep' and I said 'great.'" Since then, she's brought him in to find Looker's chief security officer too. At the executive level, there's a lot of domino effect and talent trading. As an example, when Rettig was trying to find a new VP of Network Infrastructure at Yahoo, she realized there were only four or five people in the world with the technical and management experience to do the job. They were at Microsoft, Facebook, Amazon, Google, and one outlier — Equinix — and they had all swapped places at those companies at least once. "The more specialized the search, the more important it becomes to have a specialist recruiter, because that's who knows who all these players are, where to find them, and how to talk to them," she says. "They have existing relationships that make all the difference. When someone like Jared calls, they'll answer." Reach out to your existing leaders, board, investors, advisors and other stakeholders and ask to mine their networks. Don't rely on them to do it themselves, ask for permission and rights to go into their network, conduct your own searches, and make your own list of prospects. If they insist on doing it themselves, provide them with the right search strings to get to surface more relevant results. Set quotas for outreach and use leaderboards to create accountability and motivate. Celebrate and thank the people who contribute. Make it a goal to email candidates directly instead of messaging them on LinkedIn. Provide several templates for outreach so that people can choose for themselves. Have people CC you on their outreach for a seamless handoff. Remind everyone that you will keep their privacy and reputation top of mind. Never spam someone else's contacts, and don't reach out if it will make someone uncomfortable. If you have a recruiting team, have a sharp junior recruiter with business acumen (and perhaps recent academic experience) drive your research before you start sourcing. Answer the foundational questions listed above to get a stronger sense of what your company wants out of the role and what a successful person in that role will do in the near and long-term. Start building out an ecosystem for the role based on affiliated organizations, conferences, degree programs, certifications, companies, and more. Use this to set the parameters for your search. While building your ecosystem, go off LinkedIn for a week in order to break out of algorithmic boxes and discover more people, places and things that can aid in your search. Forge and nurture relationships with the people you meet along the way who can point you to candidates or further down the path, like professors, advisors, coaches. Remember that every search is finite. Do your best to cover as much ground as you need to make a checklist of potentially right people and places where they might be found. If you have the budget, don't hesitate to bring an external resource on board. Consider an independent consultant or small boutique firm with a strong point person before large agencies, particularly if you have a smaller budget or need to move faster. Encourage the external recruiter to come to your office and work on site as much as possible to get a feel for your day-to-day, culture and the inside baseball of you company. Have them sit in with you on early calls. Set up a regular 1:1 meeting with this recruiter for status updates and to monitor pipeline. Have them report directly to you like any other member of your team. Find a specialist recruiter if you're trying to fill a very specific or niche role like VP of Data Analytics or Chief Security Officer. They have the relationships it takes to know who will be best for your company.